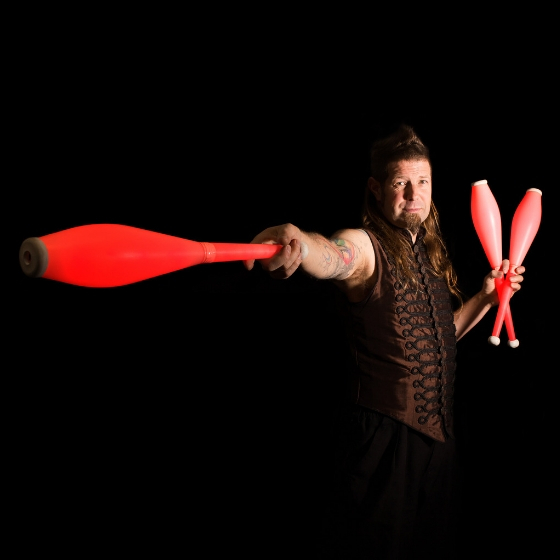 A 13-year stalwart of the World Buskers Festival in Christchurch, a 6-year veteran of the Edinburgh Festival, MulletMan first placed second at the South Canterbury Busking Championships in 1999. His show is a fitting tribute and dedication to a legendary hairstyle. MulletMan’s trade is juggling, but he also has expertise in Hair Conditioning. He is naturally funny and has a warm genuine charm.